You are here: Home / Digital Pianos / What’s the Best Entry-Level Digital Piano on the Market? Whenever you look to buy a new 88-key digital piano, there are almost dozens of different parameters to consider in order to find the best value for the money that you’re investing. The sound, the key-action, the available features and even the accessories are all very important requirements that you must evaluate before buying. In this article, we will be your guide and help you navigate this exciting but sometimes tricky journey, as we’ll provide you with five instruments that we think are excellent for beginners in an overall attempt to help you discover the best budget digital piano available today. Before we start, there are a few terms that we must specify to help you better understand how the five products you’ll see below were selected and compared. 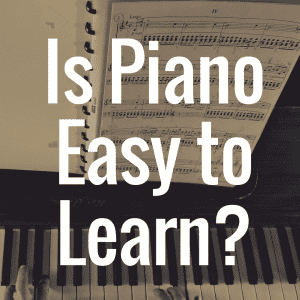 First, since we are looking to suggest the best piano option for beginners, we will only consider entry-level instruments that fall within an approximate price range of $499 and under. Secondly, only one product from each manufacturer has been selected, and the brands that we’ve decided to focus on today are the following: Alesis, Casio, Korg, Williams and Yamaha. We will compare each instrument according to a few requirements, such as the sound engine, the hammer-action keyboard, any available or unique features and the overall value you will receive in distinct contrast to the retail price. Now, let’s jump right into it by beginning with the Alesis Coda Pro. The Coda Pro is the new 88-key entry-level piano from Alesis that has replaced the disappointing Cadenza, offering a more convincing mix of options for a retail price of $499. It features a new sound engine from SONiVOX and AiR, with a great grand piano tone and other 19 voices that you can use in Split and Layer modes. The Alesis Coda Pro ships with a new 88-key hammer-action weighted keyboard, which is now aligned with competitors’ quality. This new keybed offers a more realistic feeling than the previous model, and is a good choice for teachers and students, primarily thanks to the Duet mode, which allows you to split the keyboard into two specular parts for playing together. Among the other features, the Alesis Coda Pro includes a Lesson mode, a Rhythm section, a Song mode, a USB port, an AUX input, a built-in DSP with several effects, and ships with a music rest and a sustain pedal. If you want to buy the optional furniture-style stand (which includes the three-pedal system), you’ll need to add $149 to the investment, for a total price of approximately $650. Note: Please take a look at our review of the Alesis Coda here. The Casio PX-150 offers lots of features that you’d usually find in more expensive pianos, while keeping an extremely competitive retail price of $499. It features the renowned Multi-dimensional Morphing AiR Sound Source engine from Casio, which ensures a great piano experience thanks to the Damper Resonance and other mechanic emulations, along with a maximum polyphony of 128 notes. One of the pros of the Casio PX-150 is the Tri-sensor Scaled Hammer Action Keyboard II, an 88-key weighted keyboard that allows users to play more repetitions per note, while offering a different weight for the lower, the middle, and the higher zones. The simulated ebony and ivory keys allow users to enjoy somewhat similar feelings to that of an acoustic piano (well, within reason—this is a sub $500 product after all), which is really a great thing for an affordable instrument like this. The Casio PX-150 has less features than the Alesis Coda Pro, but it still offers 18 sounds, a Split/Layer mode, a built-in DSP with many effects, an integrated Lesson mode with 60 songs, a 2-track digital recorder and a USB port. The PX-150 ships with a sustain pedal, a music rest, a score book and a dust cover. The furniture-style stand is sold separately for $89, while the three-pedal system is available for $79. The total price would be about $669, depending on where you purchased it. Note: Please take a look at our comparative review article entitled: Casio PX-160 vs Casio PX-150: Which is Better? The SP-170S is a revamped version of Korg’s entry-level digital piano, which ships in two different finishes (black or white) for the retail price of $499. This product does not feature as many options as the aforementioned pianos, because the manufacturer chose to focus mainly on the key-action (its NH 88-key Natural Weighted Hammer Action keyboard) and the Stereo Sampling engine. While being above the average of the entry-level products, the SP-170S sound does not bring justice to Korg’s legacy: the engine includes ten discrete sounds with a maximum polyphony of 120 notes, which unfortunately drops to 60 voices when playing stereo samples. 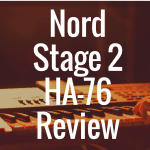 Combined with the NH hammer action keyboard, the resulting experience is great for learning the basics, but not as good as many other products that you may buy with the same amount of money. The Korg SP-170S also lacks some of the useful features you might need, like a USB port or a Lesson or Duet mode, but it does include two headphone outputs and a built-in DSP with reverb and chorus. The piano ships with a music stand and a switch-style sustain pedal, but if you want to buy the optional furniture-style stand and piano-style damper pedal (no three-pedal system is supported), you’ll need to add up to $120, for a total price of $619. Note: Please take a look at our review of the Korg SP170s here. The Allegro 2 is an evolution of Williams’ entry-level piano offering, which has improved a lot from its predecessor and offers a great bunch of features despite an extremely affordable price of only $299. The piano is obviously far distant from giants like Yamaha and Casio in terms of key-action and sound quality, but it’s still a great solution for people that want to spend the least and get a decent product. 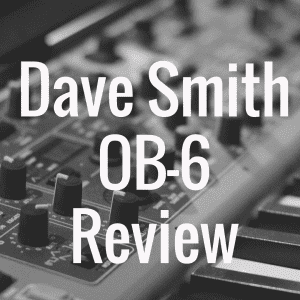 Its sound engine offers two discrete piano sounds, a few other tones and an 88-key hammer action that is suitable for learning the basics–but not much more apart from that. The piano does include a USB port for MIDI connectivity, a Metronome, and a DSP with few effects to enrich your sounds, but the list of available features ends here. You cannot really expect much more once you factor in the Allegro 2’s super cheap price. 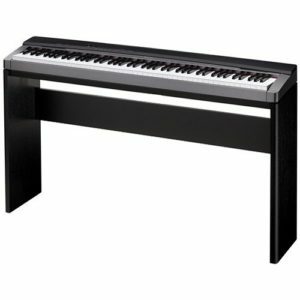 The piano ships with no sustain pedal nor AC adaptor, and does not offer any optional stand to turn it in a piece of furniture. You can buy the optional $29 ESS1 Essential Pack to get a power supply, sustain pedal, and headphones for a total price of approximately $329. Note: Please take a look at our review of the Williams Allegro 2 here. One of the best affordable pianos currently available, the P-45 is one of the newer digital pianos from Yamaha (it has replaced the P-35 by adding new features such as a USB port and doubled the amount of polyphony). On top of that, the P-45 still manages to maintain the same retail price of the P-35 (which is $499.99). The P-45 features the renowned AWM Sound Engine with a 64-note maximum polyphony, and the great GHS Graded Hammer Standard keyboard, which has a heavier touch in the lower zone and a lighter touch in the higher zone. 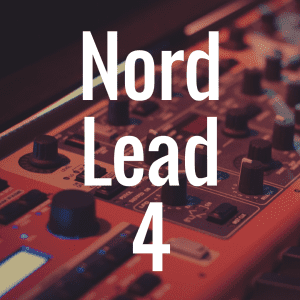 Thanks to four different sensitivity levels, you can achieve the ideal responsiveness to match your playing style, a great feature for students that want to learn the basics. The Yamaha P-45 includes a Dual Mode for layering two sounds together, a Duo Mode to split the keyboard into two specular zones (this is really great for teachers and students), but it does lack any kind of Lesson mode for beginners. It ships with a switch-style sustain pedal and music rest, but if you want to transform the piano in a piece of furniture you will have to buy the optional $80 L-85 stand. No triple-peddle system is supported, but the half-pedal feature is available by connecting the optional FC-3A damper pedal. The total price would be about $600. Note: Please take a look at our review of the Yamaha P-45 here. For its excellent mix of sound, key-action, features and price, the Casio PX-150 (and by default, the Casio PX-160!) is probably the best option currently available in the entry-level digital pianos market. It offers a huge piano sound with the highest amount of polyphony, a top-of-the-class hammer action keyboard and very unique and helpful features that make this product not only suitable for beginners, but even intermediates and live musicians. A special mention should be made for the Yamaha P-45, however, which is definitely one of the better instruments in this price range and certainly a very good (and roughly $50 cheaper) alternative to the Casio PX-150. Be sure to bookmark our Digital Piano Review Guide website for more up-to-date information and reviews! 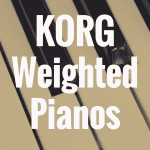 What’s the Best Korg Digital Piano? 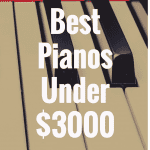 What’s the Best Digital Piano Under $3,000?